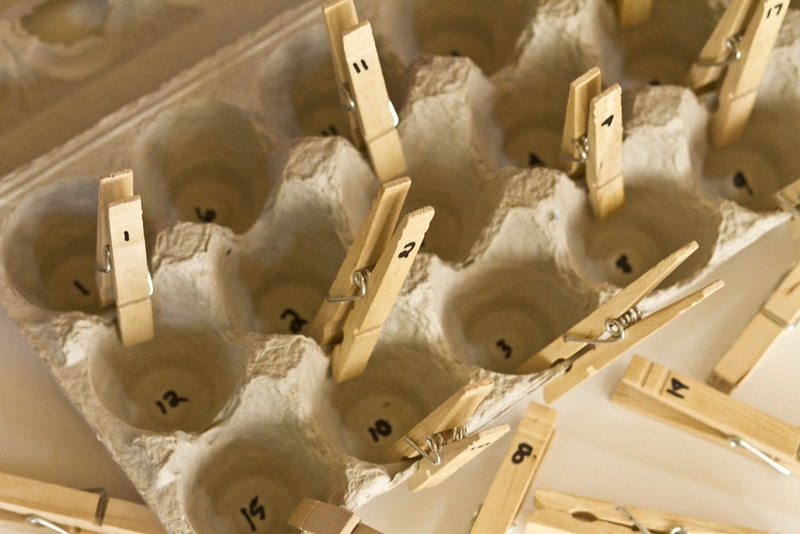 Using an 18-count egg carton, write a number in the bottom of each egg cup. You can either use plastic Easter eggs or a clothespin to create a matching game. If using the Easter eggs, write one number on each egg so that you have one egg per egg cup in the carton. Your child can match the egg to its corresponding numbered cup, and the eggs can store in the carton when not in use. For the clothespin version, write a number on each clothespin, and have your child clip the clothespin to the egg cup as pictured. Appropriate for 4’s and up. Small Motor, Counting.